There is a piece of family mythology that I might have made up. My grandmother was friends with Kurt Vonnegut’s first wife’s college roommate. I know that is not much, but here me out; there is a chance that my favorite writer (the genius behind Slaughterhouse-Five and others works of literary greatness) might have been aware of my family. Why is this important? Well, in 1999, Kurt Vonnegut released a book of his uncollected short stories (Bagombo Snuff Box). Many of these stories were uncollected for a good reason; being the product of a struggling writer just looking for a sale in the booming short story market of the 1950s. Yet, there is one story in it of particular importance to me. It is called “The Runaways” and it stars a family named the Southards. The great Kurt Vonnegut was inspired to use the name Southard in that story because of my grandmother. There I typed it, and because it is the internet (and there are no falsehoods on the internet) and Vonnegut is no longer around to argue about it, it must be true. That is all I needed to hear. I parked my car in front of my house and hung my head. One of my heroes, the hero I would never have had the guts to write or call, had left us, and any opportunity to meet the genius was now lost to me. Most of my friends and family know of my obsession with Vonnegut’s writing, and I was getting e-mails and calls as if I had lost a family member. Some may think it is silly, but in a way, in the world of literature, he felt like a family member to me. I can see him in my work, like a parent can see their own DNA in their children. He is in my work just as much as Virginia Woolf, Charles Dickens, Ray Bradbury, and Jane Austen. Probably, his biggest influence on me was my novel My Problem With Doors when I did a variation of his short, broken narrative style to help illustrate the feeling of fragmented time travel. There are a few things around my house that I use to judge visitors. Sadly, this has happened more times than I care to mention. When my house was broken into back in 2002, I first ran to make sure that was still safely resting on my wall. Yes, I was relieved when they took my computer instead. Whenever an author slips the mortal coil the market gets flooded with books about the writer, unpublished works, and maybe even one or two unauthorized books on him. Kurt Vonnegut is no different. We have already seen one unofficial biography by someone claiming to be an old lover, two books of unpublished short stories, and this holiday season of 2012, we have a series of new works to add to the marketplace. This will be a big Vonnegut Christmas for me because of it, with my list starting with his unfinished final novel, his collection of letters, and the recent hardcover publications of his novels. All I am missing is the Kurt Vonnegut Christmas ornament for the tree… No worries, I’m sure it will be out in a few years. It is my dad’s fault I became obsessed with Vonnegut. Actually, I could blame my dad for most of my initial literary obsessions: J.R.R. Tolkien, Ray Bradbury, Richard Brautigan, and Kurt Vonnegut. Yet, none were more important to the both of us than Vonnegut. 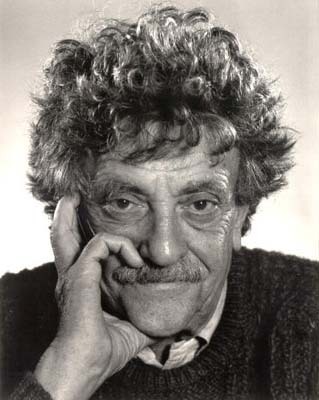 In the later years, when Kurt Vonnegut was only publishing the occasional collection of essays and speeches and had given up fiction, you would see my father and I handing each other presents each holiday season of the same book. It was like a secret handshake we shared. Here is the rub, I could have spoken to Vonnegut if I had the guts. A friend I had in Los Angeles, as a present, gave me his home phone number. I can’t go too much into details about this, but she found it while working for a TV production office. He had called the office asking for something and my friend wrote down the number, giving it to me, maybe not realizing the magnitude of the gesture. See, it was not about the possibility, but the fear. I knew what would happen if I made the call, especially with where I was in my career (which is much like it is today), a struggling and unsuccessful writer with artistic/literary ambitions lost in a world of pop/pulp fiction. The key word being “unsuccessful” in that previous sentence. That phone number stayed untouched and safe on my desk for over five years, never used. Now if life was a movie, I would have made that call, and over the course of that conversation we would have become friends. But life is not a movie, and in reality (thanks to my extensive reading of his fiction and nonfiction), I know he would have been annoyed by the call and that his number had gotten out like that. And while he might have been a little nice at first, he wouldn’t have asked to read any of my fiction, nor would we have bonded. Then when the incredibly short conversation was coming to an end, he would have asked me to not call again and not share the number with another. I would have thanked him, of course, for all he did for me in inspiring my writing over the years, but I would have ended the call feeling a little bittersweet by the experience. Yes, my hero would have spoken to me, said my name to me, but it would not have been on any kind of equal ground. I would have been the stalker, him the stalkee. Not a story to tell any future literary grandchildren that is for sure. Some may think this is ridiculous, but I do miss Vonnegut. I miss hearing his reactions to every major news story. (He would have had a field day with the 2012 election cycle and the backward tea party!). I miss his wit. Yes, I didn’t know him, but it was reassuring knowing that he was out there somewhere, a great symbol for humanism: a man with all the foibles good and bad of today, but hoping to be better and caring. I have a friend who is one heck of a good poet named Henry Williams. He has a great Kurt Vonnegut story. He was walking around New York City when he ran into Vonnegut. No, he ran into him literally…. falling down on the street. Plop! Man, I wish that happened to me. It would have been a great symbolic moment in any book, but all I can do is live the fall vicariously through Henry, feeling each inch of descent in slow motion, taking in that dramatic instant life had created right then. Kurt Vonnegut has knocked me down my entire life. If you liked reading my article why not check out some of my published books? 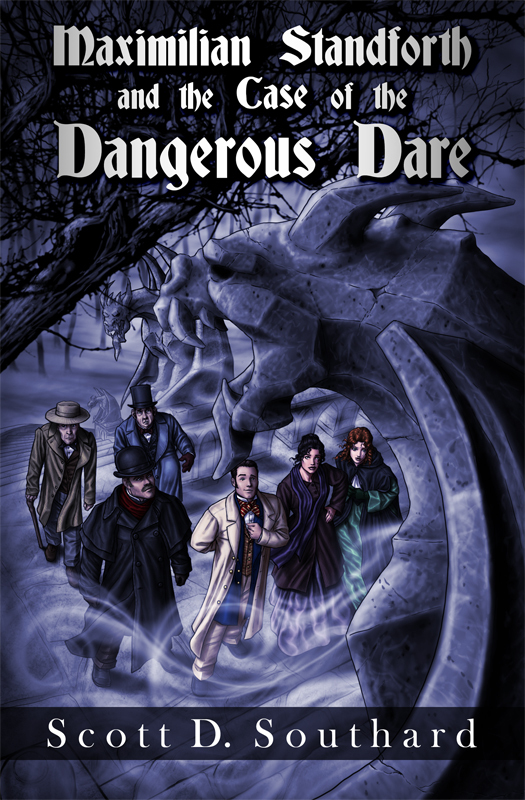 I have had four novels published in the last few years, the new A Jane Austen Daydream, Maximilian Standforth and the Case of the Dangerous Dare, My Problem With Doors and Megan. You can find them via my amazon.com author page here, or as an eBook on Google eBooks here. Thanks for reading! This entry was posted in Books, Life and tagged Bluebeard, Books, Cat's Cradle, Charles Dickens, Death, Fiction, Henry Williams, Influences, Jane Austen, Kurt Vonnegut, Life, Literature, Mark Twain, Novel, Richard Brautigan, Slaughterhouse-Five, Tolkien, Writing by Scott D. Southard. Bookmark the permalink. I wouldn’t feel too bad. He’s one of my heroes too, and Cat’s Cradle is my favorite as well… and I’m sure if I’d gotten his number he would have torn me a new * for calling. But would you have made the call? See, I still wonder if I should have at least tried… Thanks for reading! Cheers. Hey, if you have a second, swing on over to my blog, The Book Revue. (I’m a musical theater writer and this blog is about writing one song a month based on a different book each month). There’s a new song I just posted yesterday inspired by Slaughterhouse-Five called “A Picnic on the Moon”. I’m always curious to see what people who have really deep connections to authors (or authors themselves) have to say about my interpretations. THank you for your comment (Sorry I didn’t respond earlier, it was in my spam and I just found it; no idea why it went there). If you like Vonnegut, you should check out my book My Problem With Doors. I think you will really like it since it has some definite Vonnegut influences (even though being very much its own book).Thanks again for reading. Cheers!